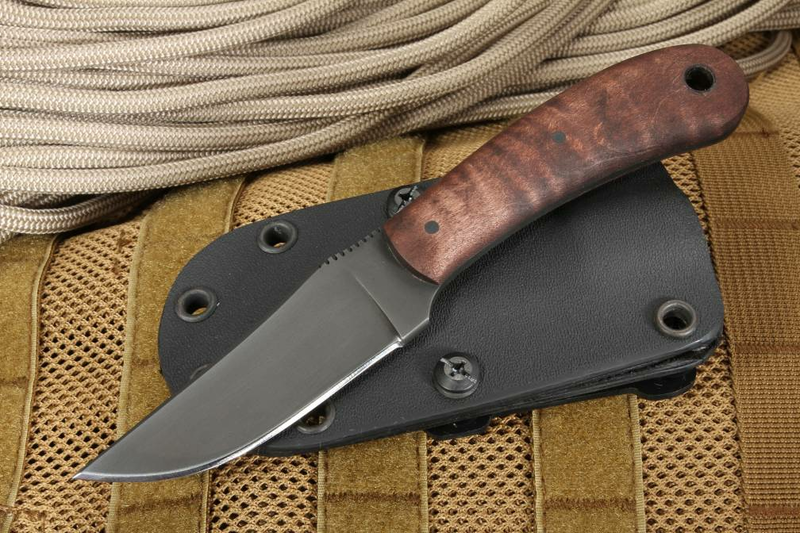 The Winkler SD1 (Standard Duty) knife is a versatile, compact fixed blade knife with a full length of 7 inches, making it a great size for a boot knife, pack knife, or neck knife. New for 2018, the SD1 is entirely American made by Winkler Knives and with its unique, practical features, it is sure to become one of your favorite everyday knives. With a blade length of 3.25 inches, the belly of the knife curves to a sharp trailing point, creating a smooth cutting surface for slicing and puncturing work. 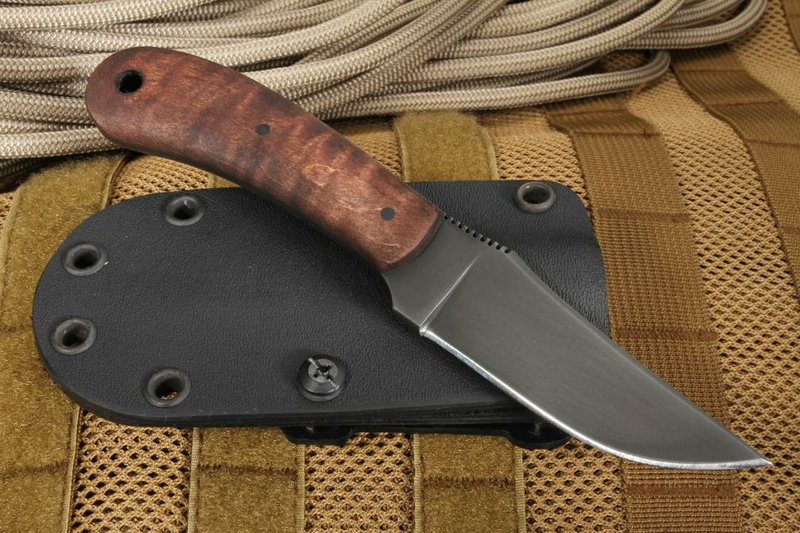 The 80CRV2 high carbon steel blade is known for its strength, reliability, and edge retention, which means it can handle the toughest of jobs and rarely needs to be sharpened. The no-glare finish gives the user an added tactical advantage when stealth is required and prevents reflection. The blade is made of high carbon tool steel, one of the toughest materials on the market, known for its strength, hardness, and excellent edge retention. And the no-glare finish gives the user an added tactical advantage when stealth is required. Remember to clean and oil the blade after each use. 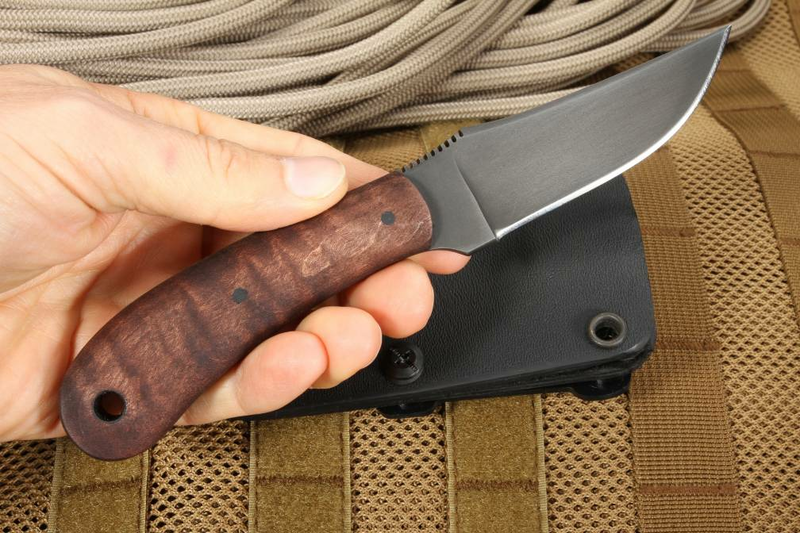 Thumb index file work on the top of the blade spine gives your thumb a flat resting place when you need to choke up on the knife for work or combat purposes and prevents your thumb from slipping when moisture is present. 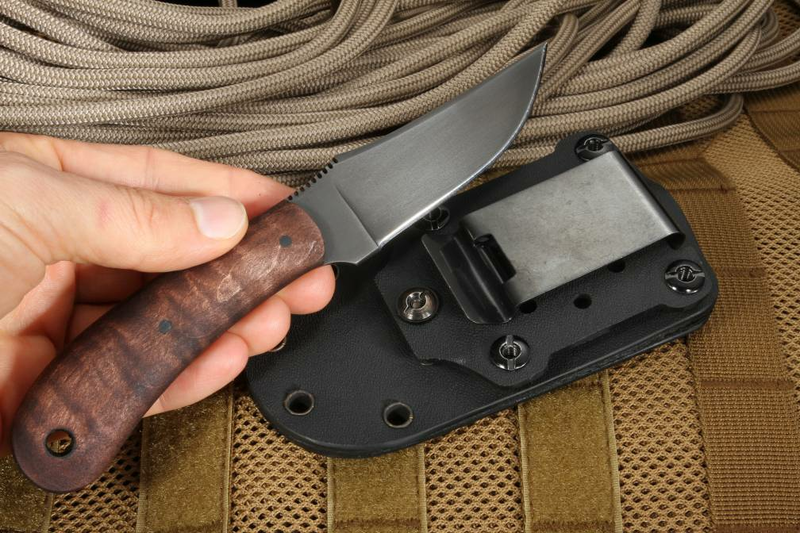 The lanyard hole in the handle enables you to secure the knife with a lanyard when in use or hang it for easy access. You can also use the hole to lash an extended handle to the knife to make a spear or create added reach. 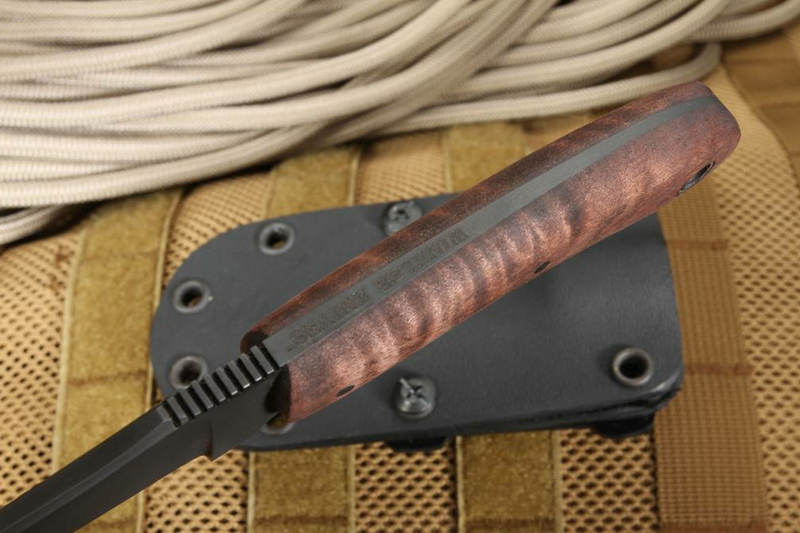 The fully skeletonized tang allows for more force to be leveraged through the handle - useful when cutting through hard materials and creates a balanced, sturdy knife with some heft that acts as an excellent tool for percussive work in combat or field dressing. 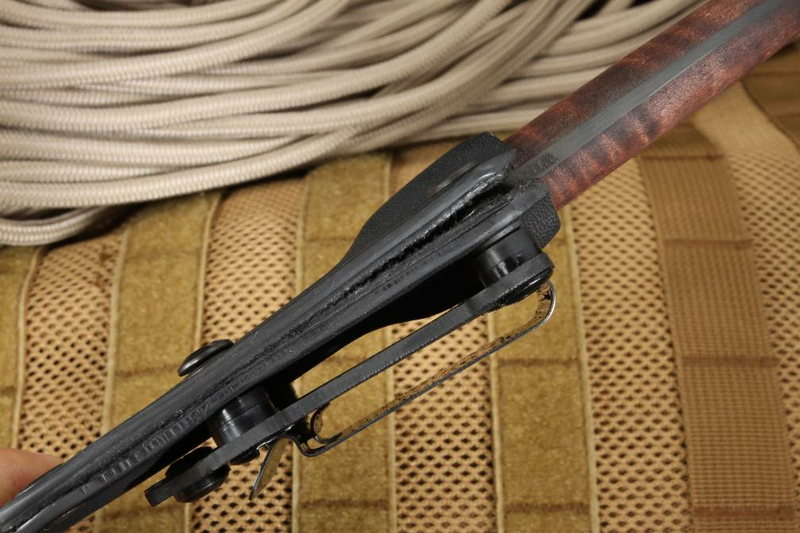 The handle is curved to fit your hand and made from materials designed to achieve a secure grip. The knife comes with a heavy-duty, felt lined Kydex sheath lined to keep the blade protected and designed for multiple carry options. It can be worn vertically or horizontally, for a right- or left-hand draw using the spring steel belt clip.